Every one from Team Heartynote are born in middle class families. We all grow up imagining life to be so tough as we looked at our parents strive hard for every single basic need in life. We see our fathers going out on the same 20 year old Chetak scooter for water, oil, gas, home requirements and even for the simplest things. Home delivery in the late ninety’s was something that a middle class man could never afford or access. Even now, we find plenty of people with the same mindset that online apps are costly and prefer traditional methods of shopping , be it clothes or be it groceries. We wanted to change this! Imagine yourself as a kid watching his father reach late at nights, working hard, face covered with dust due to the untidy roods, tired and sweaty. Imagine you watch your father everyday in the same situation. Why is he working so hard? Why isn’t life easy? Why do we never think what is making him push things beyond limits? Why does he always ask us to just study and takes the rest of burden on his shoulders? Cause no father ever wants his child to face the same situation he has been facing from years. He wants his children to taste success. We all want our parents to be happy and smiling. What efforts do we do? To all the people whore born in the 90’s, what difference did you bring in your parents life? Even if you made a difference, what did you do to make things easy for others? What did we do for our mother INDIA? This is the question where it all started. This is where the MISSION started. As we grow up, we get to know that life was easy than what we imagined and expected. Thanks to our parents and all the startups that emerged in the recent years. Well, startups have made life easy. Food, shelter, and clothing – The basic needs of an individual required for a survival are now available at finger tips. Young and talented Indian youth took charge and made stupendous developments to make life as easy as possible. Team Heartynote got into the same race supporting the notion ‘Made In India’. We believe our nation India to be the most powerful entity in the entire world. Indian youth is the worlds largest community which constitutes of 356 million responsible and energetic individuals. If even 20% of youth contribute to making India greater in terms of development, management, and other fields, in no time, we can make our country stand tall. Team Heartynote always had an aim to do something different, out of the box, something like what Leonidas has done with Sparta. Not exactly fighting enemies, but fighting with the daily problems we face in our life. Leonidas had 300, but we are 356 million in number! Imagine the difference we can bring in! 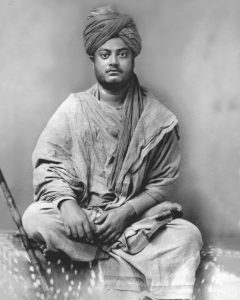 Remember what Swami Vivekananda did when he went to USA. It was an Indian voice that shut down every single mouth of the foreign intellectuals present in that auditorium. Such is the power and intellect of Swami Vivekananda. As an Indian he believed in himself and in his own nation. Do you know the reason why Swami Vivekananda always called for the youth? Well he knew from the very first day that only the youth has got what it takes to change the fate of the world. Many examples like APJ Abdul Kalam (Scientist), Sachin Tendulkar (Sportsman), and Sunita Williams (Astronaut) etc. have already proved that Indians can make the impossible things happen. Now it is our turn! Believe in the fact that Indians have the capability to make wonders happen! Be a proud Indian, keep your head high, and arise today. Not only Heartynote, we aim to provide many Indian products in the future that increase the value of our mother nation and we will strive hard till our last breath to serve our country! This entry was posted in Uncategorized on September 17, 2017 by heartyblog7472.